This is a beautiful park located in downtown Oranjestad, Aruba next to the Renaissance Hotel. 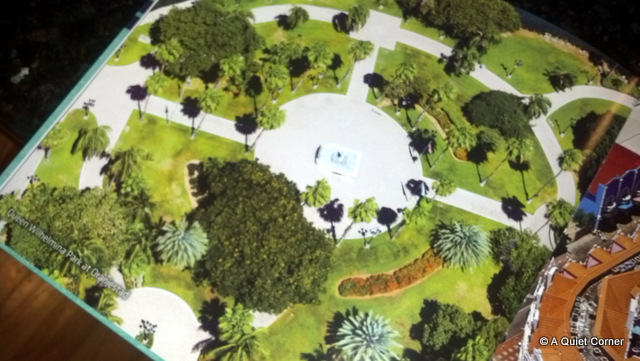 It is an aerial view and a "picture from a picture" because I wanted you to see the magnitude of the grounds. In the center of the park is the statue of QUEEN Wilhelmina of the Netherlands leader during the first half of the twentieth century. A great place to relax after walking and shopping downtown and the best place to see tons of iguanas enjoying the sun. I'd like to go for a walk there! What a beautiful place that maybe someday I'll get to visit!